SOME LIKE IT ESSEX: WHO FRAMED THE UGLY KIDS?? WHO FRAMED THE UGLY KIDS?? 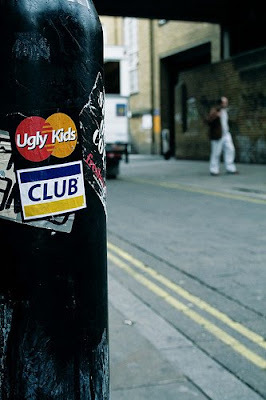 SURROUNDING THE CURRENT COPYRIGHT INFRINGEMENT LAWSUIT AGAINST THE UGLY KIDS CLUB BY MASTERCARD, THE UGLY KIDS HAVE LAUNCHED A CAMPAIGN TO NAME AND SHAME WHO G'ED THEM UP! IN TRUE 'THE GOOD THE BAD AND THE UGLY' STYLE - OF COURSE THERE IS A REWARD!